AN INDEPENDENT ASSESSOR appointed to investigate claims of chemical abuse in the Air Corps is a former senior advisor to the Attorney General, a body being pursued in court by the alleged victims. Six current and former members of the Air Corps are currently going through the State Claims Agency after they alleged they were exposed to toxic chemicals while working for the Corps between 1991 and 2006. Christopher O’Toole was appointed by Junior Defence Minister Paul Kehoe to independently assess the claims. However, the claimants have been left frustrated after finding out that O’Toole is a former senior official at the Office of the Attorney General, one of the bodies which they are taking the case against. Some of the Air Corps members now want O’Toole replaced. The claimants feel his presence compromises the balance of the investigation. All named parties said they suffered serious injuries from chemical exposure when they were working at the Casement Aerodrome, Dublin, in the 90s. They claim that Air Corps personnel contracted cancers, cardiovascular illnesses as well as serious gastrointestinal problems due to the exposure. One is Sinn Féin TD Aengus Ó Snodaigh who said “it is worrying that the concerns of personnel were dismissed when first raised with the Air Corps doctor in the 1990s and the potential dangers of working with these chemicals were not explained nor more robust measures put in place to minimise the risk”. Email “Alleged Air Corps chemical exposure victims call for investigator to be replaced”. 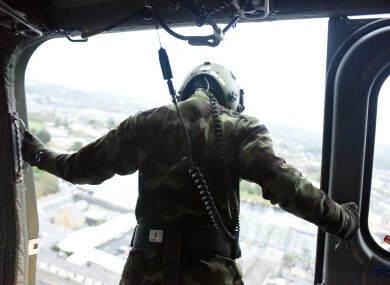 Feedback on “Alleged Air Corps chemical exposure victims call for investigator to be replaced”.